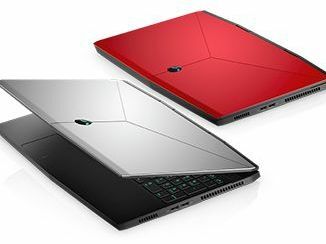 Alienware's first ultra-thin laptop maintains the spirit of the original Alienware 15 R4 while propelling the series forward into the super-light gaming category. Of course, some sacrifices had to be made when moving to a smaller design, but it's mostly a success especially in terms of Turbo Boost performance and chassis rigidity. There’s no question there are plenty of slimmer gaming laptop options out there. With its advanced thermal cooling technology, sleek gaming design, and various customizable options, the Alienware m15 definitely meets the criteria for a gaming laptop. While some of the configurations can be pricey, it does offer solid construction, great performance, and comfortable use. It’s not quite as suave as the Razer Blade 15, which could pass for your everyday work laptop, but if you're after a portable, compact gaming laptop and you’ve got the cash to splash on Alienware, the M15 is a great choice. In a vacuum, the m15 is impressive: it’s thinner and lighter than prior Alienware laptops, while still providing an excellent gaming experience and surprisingly good battery life when you’re not gaming. But it does not exist in a vacuum, and it’s not as thin, light, well-designed, or immersive as its competition. Even with a starting price that undercuts Razer, MSI, and others, the Alienware m15 doesn’t stand out. Overall, the Alienware m15 is a better value than the competition. It's not as light as MSI's, and it's not as sleek as the Blade, but it's powerful and attractive enough for any gamer who wants a more portable gaming rig. Best of all, the Alienware m15 proves that Dell is finally moving beyond the gaming laptop stone age. Any way you slice it, Dell's Alienware m15 is a powerful machine, with an easily serviceable chassis, and room to grow. Pound-for-pound it may just be one of the most powerful gaming laptops on the market right now. It's like a powerful middleweight that can step into the ring and go toe-to-toe with heavyweights. 81.43%: This rating should be considered to be average. This is because the proportion of notebooks which have a higher rating is approximately equal to the proportion which have a lower rating.